NieR Automata is many things. It’s a long game, a short game. A platformer, a JRPG. An action game, a 2D shooter. All of these things come together to make an incredibly unique JRPG like none other. 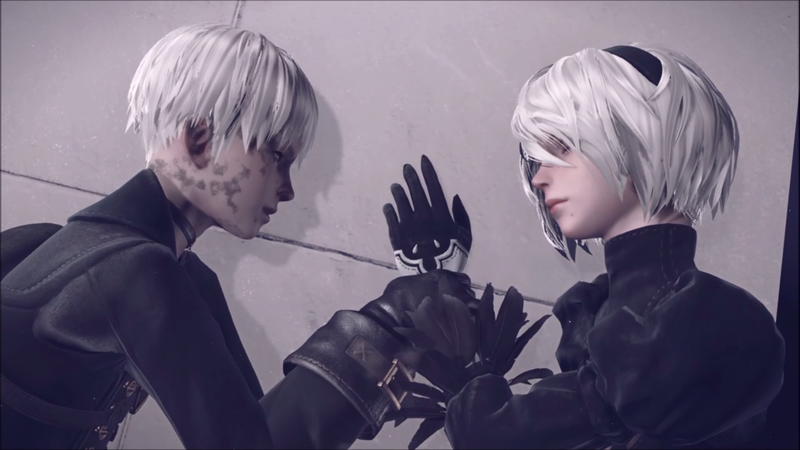 With its striking narrative and story-telling method partnered with great action gameplay and other styles to keep things interesting, NieR Automata’s emotional android world is well worth diving into. NieR Automata is set in a world where humans and machines are engaged in a long running war to claim Earth, a war that has forced humanity to flee to the Moon. Fighting on the human’s side are the Androids that are the main focus of Automata, with the three playable characters 2B, 9S and A2 all being androids with their own purpose and abilities. Despite the lack of humans in NieR Automata, the three androids and their supporting cast all have distinct motivations, emotions and missions that ironically make it feel like one of the most emotional games I’ve played this year and I was fascinated by each main character in some way from start to finish. If you want all your thoughts about the humanity of humans, androids and machines challenged, NieR Automata will do it in its first 10 hours and drive that point home for another 20 until its true final credits roll, with plenty of conflict stemming from very powerful thoughts about the state of the world and existentialism. NieR Automata’s plot is a beautifully unraveling affair full of complexity that surprised just as much as it moved me and is better off being played than explained. What makes it particularly unique is the way it uses routes to tell its story. 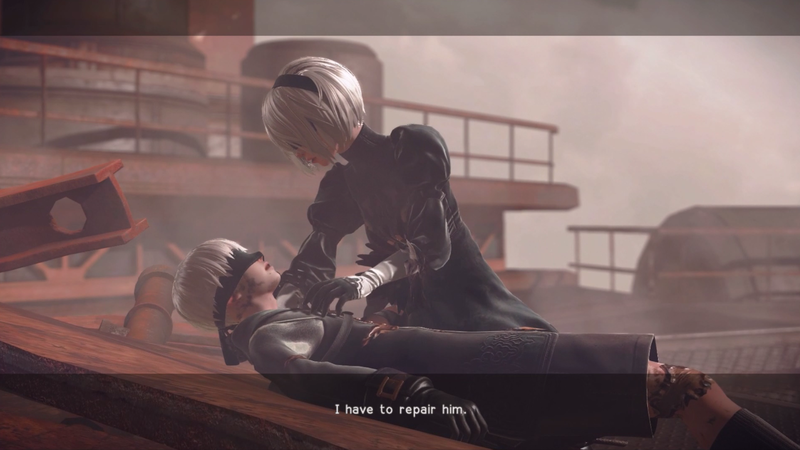 Rather than breaking things into one playthrough with multiple chapters, the routes create points where the player can stop or dive deeper to find the true end of NieR Automata, with the first two routes (A and B) fitting as a perfect prequel to the last few (C, D and E), but all the routes are also strong on their own. It’s a unique way of storytelling that someone who is a first to Director Yoko Taro’s distinct style could miss (I did at first), but I really like the way that each ending did create a satisfying end to Automata, while still making the true ending the best one. 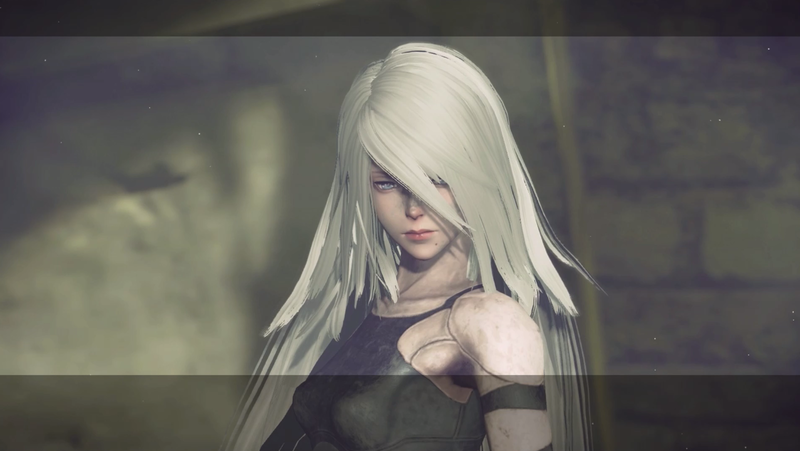 Making NieR Automata’s use of multiple endings and routes even more unique is way it incorporates different styles of gameplay into each one. Route A would have one believe 2B’s action fighting style was the main gameplay style, and her mechanics already include a combination of the usual 3D view, top down shooting and side-scrolling that uses camera movement in a way that makes it work seamlessly. This already distinct action gameplay is partnered with 2D shooting and the occasional flying robot battle, combining to make the most bizarre yet oddly cohesive set of battle mechanics I’ve ever played. 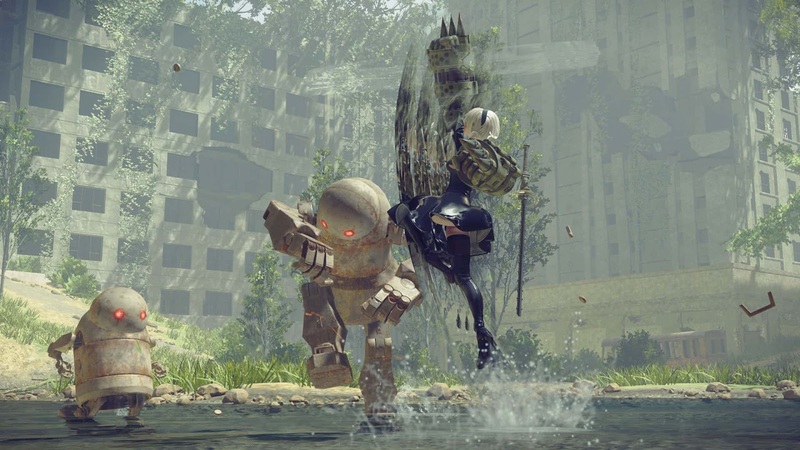 The way Automata introduces these mechanics is always suited to their characters in a way that still allows the player to develop a fighting style they feel comfortable with, especially when partnered with the deeply customisable chip system you can upgrade characters with. This one of a kind combat system together with the big robot battles that provided their own challenge make battles in Automata as cool-looking as they are satisfying. If the unique combat and fascinating android story weren’t already cool enough, everything takes place in an interesting dystopian open world. I had some frustrations on my first playthrough of Automata as the maps aren’t great, but once I accepted this and parkoured my way around the pretty landscapes, I found myself enjoying discovering it for myself, particularly since it's not an overwhelming large open world. I have nothing against big open worlds, but I really came to like the fact that by the story’s final act, I had mostly gotten to know where everything was. 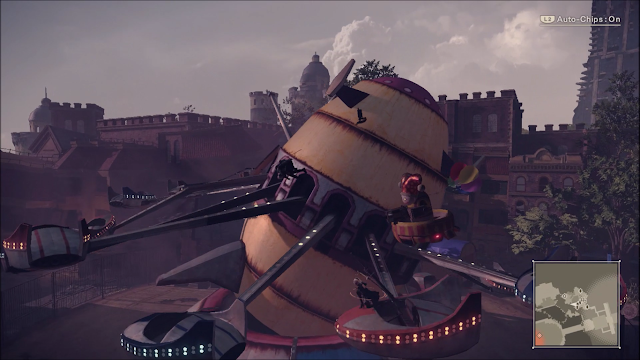 All the landscapes had what I'm coming to understand is a signature Yoko Taro eeriness and places like the Amusement Park full of the happiest enemy machines on Earth created an unsettling balance of beautiful and creepy that added to the intrigue of the whole experience. The world of NieR Automata also provides lore and replayability for those who want to dive even deeper in the fascinating world. Since I found replaying Automata to get its true ending more essential than postgame content usually is, what I now have left over after that are weapon stories, some less essential endings and quests to better get to know the world NieR. Although I want to leave these until after I’ve played the original NieR and Drakengard games as some of the side quests have nods to previous titles in the NieR universe, I like feeling like there’ll be something waiting to enrich my time in its world after I'm done. With a universe as unique as NieR’s, it's great to have reasons to come back to it even after 5 endings. There are few games that leave an impression as unique as NieR Automata. It balances so many different feelings like beauty, eeriness and existentialism in a 30 hour story experience, along with a unique blend of fighting styles that make it an immersive narrative and gameplay experience. Laughing and crying during my time with it was one thing, but the level of completion and lingering memories of my time with it after witnessing its true ending are something I’ve only felt with a few select games and I'm pleased to say that NieR Automata is one of them. It’s a special game that should be played by all JRPG fans and fans of great stories, and I wouldn’t be surprised if people are still talking about it in years to come. I need a figure of those little machines by the way. Just saying. You can pick up NieR Automata and related goods at Play-Asia.com! What did you think of NieR Automata? Did you play Routes A-E?